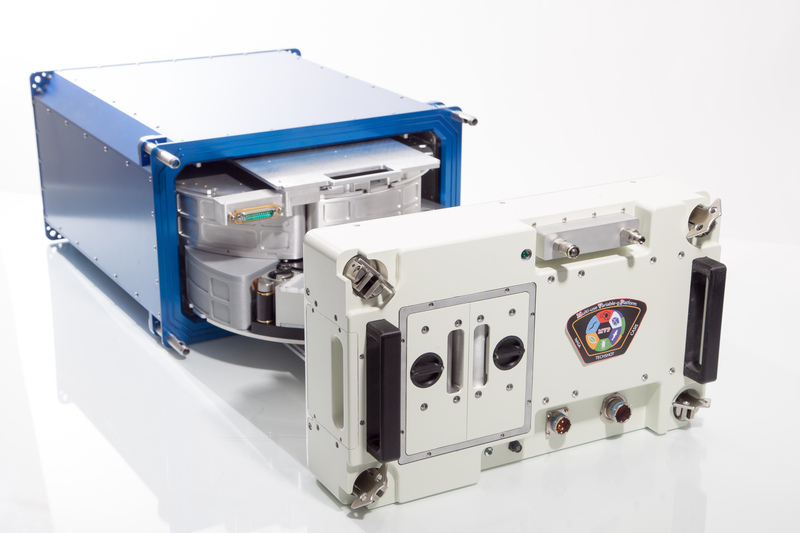 GREENVILLE, Ind., March 27, 2018 /PRNewswire/ -- A new privately-owned and operated device designed to conduct research in space at varying gravity levels with a wide variety of sample types – such as tissue chips, plants, fish, cells, protein crystals, worms and flies – will launch to the International Space Station (ISS) aboard the next SpaceX cargo resupply mission. Expected to launch April 2 from space launch complex 40 at Florida's Cape Canaveral Air Force Station, SpaceX CRS-14 will carry the Techshot Multi-use Variable-gravity Platform (MVP), which can produce artificial gravity in 0.1 g increments, up to a maximum of 2.0 g.
Seen with its door removed, revealing two carousels, the Techshot Multi-use Variable-g Platform (MVP) is a privately owned and operated research system for the International Space Station. It is used for studies in space with fruit flies, plants, aquatic animals, flatworms, protein crystals, cells and many other sample types. Each carousel can produce from 0.1 to 2.0 g of artificial gravity. Research aboard the ISS with Techshot's Bone Densitometer X-ray machine for mice confirms that prolonged exposure to microgravity causes detrimental effects such as bone loss and muscle wasting. With NASA's renewed focus on a return to the Moon, where gravity is only 0.16 g – before venturing even further to Mars, where gravity is 0.38 g (Earth is 1.0 g) – scientists need to better understand how much gravity is enough for pioneering human crews to remain healthy while living on the surface. Research using MVP is expected to help answer that question. "I believe we're entering an unprecedented golden age of human spaceflight," said Techshot President and CEO John C. Vellinger. "Never before have so many options been on the horizon for living and working in low-earth orbit and beyond. Research with MVP can help scientists better prepare us to thrive in our collective spacefaring future." Approximately the size of a microwave oven, MVP hosts six separate experiment modules on each of two 390 mm internal carousels. Experiment modules launch separately in cargo resupply vehicles and are installed by the crew in MVP once they reach the station. Each is customized to accommodate the sample type and experiment protocol of a given research campaign. Lighting and video and still imagery, including microscopy, also can be included in each. Both carousels can be removed on orbit and replaced with fixed platforms for large microgravity experiments. 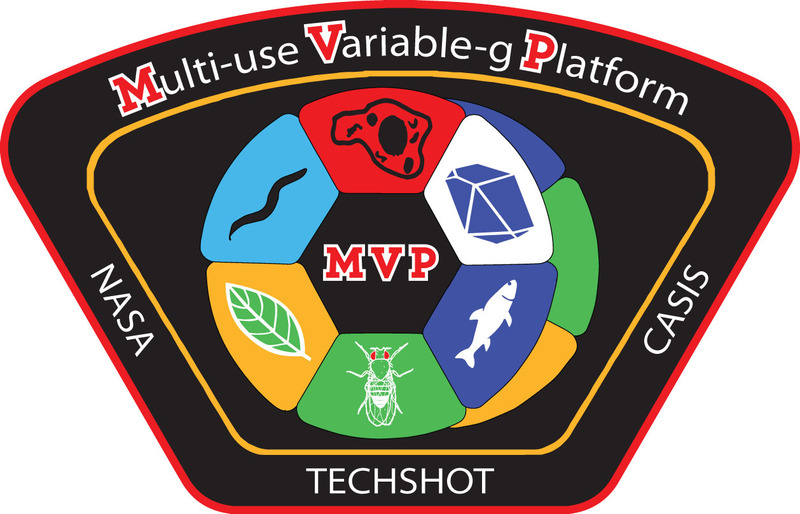 The environment inside MVP can be monitored and controlled remotely from Techshot's Payload Operations Control Center at its Greenville, Indiana, headquarters or at its Exploration Park, Florida, office. The Techshot MVP is just the latest entry in the company's comprehensive catalog of flight-qualified research equipment – joining the Bone Densitometer, the Advanced Space Experiment Processor and the Analytical Containment Transfer Tool as readily available flight qualified payloads. Other space-based devices in development by the company include a large centrifuge for research with rats and mice, a 3D BioFabrication Facility, and a multi-material in-space manufacturing payload known as the Techshot FabLab. 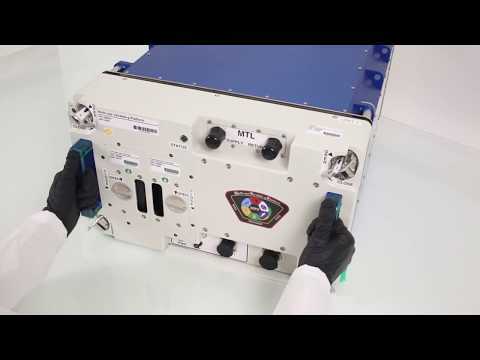 Though the hardware is designed for studies with many different kinds of samples, the first experiment launching on SpaceX CRS-14 will focus on Drosophila melanogaster (fruit flies). Known as MVP-Fly-01, this first campaign using the system will be conducted for a research team at NASA Ames Research Center in Mountain View, California. The availability of MVP will be especially important for fly research because it will allow the study of larger sample sizes over longer periods of time than previously possible, and it will be able to support fly colonies for multiple generations. 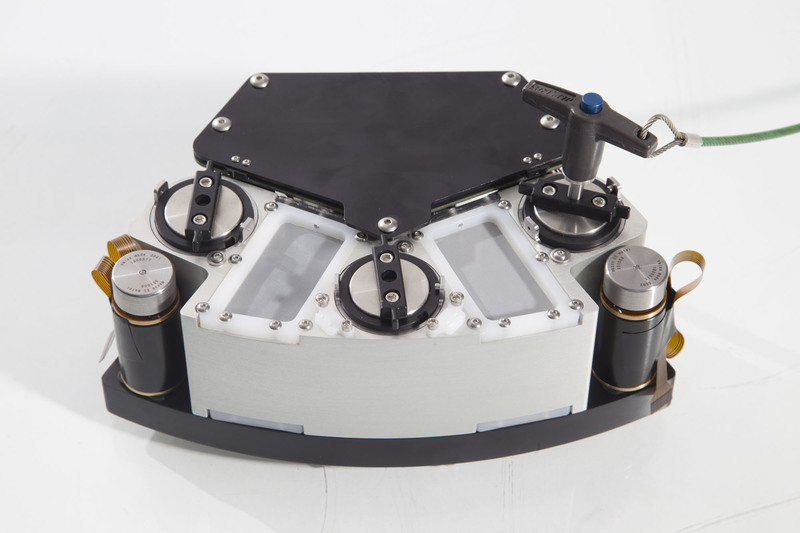 The payload will help scientists improve their understanding of a wide range of biological processes that affect human health – both on and off the Earth. Approximately 77 percent of human disease genes have analogs in the fruit fly genome. For more on NASA's MVP-Fly-01 mission see https://www.nasa.gov/ames/research/space-biosciences/mvp-spacex-14.